These are some introductory courses offered for free. Netacad courses will remain open until 18 November 2019. Once you complete the exam for each course, you can contact us to send you you personalised certificate of completion. Learn how the current digital transformation is creating unprecedented economic opportunity. Understand how the IoT is bridging the gap between operational and information technology systems. 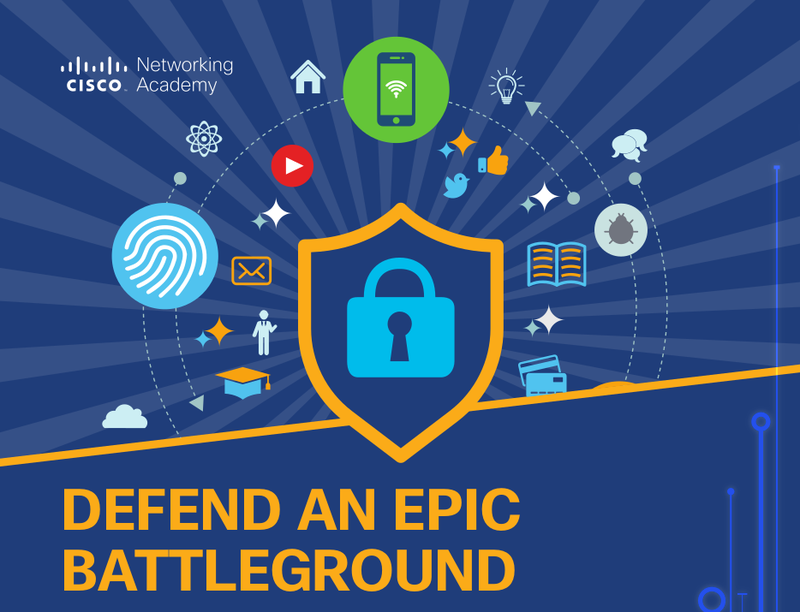 Understand security controls for networks, servers and applications. Learn valuable security principals and how to develop compliant policies. Implement proper procedures for data confidentiality and availability. Basic installation and configuration of Linux software. Understand the basics of the Linux Command Line Interface (CLI). Interact with, and become familiar with the Linux virtual machine. Determine if Linux is for you or not.